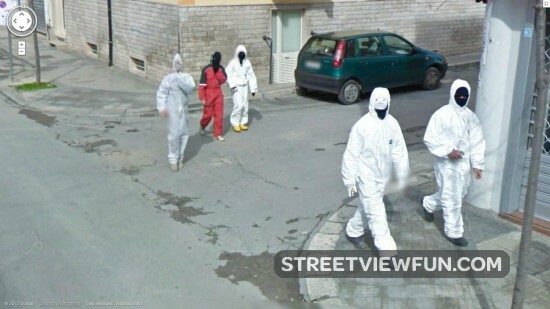 Weirdest guys on Google Maps Street View? Nahh.. If you zoom in on them they have a couple of spraycans in their hands.. but on the other hand, the left hand of two or three of the guys is smudged out. So It´s not impossible to be a robbery.